Download Best USB flash drive repair software .Learn how to repair a corrupted USB flash drive .Download all recovery software and flash drive repair software . Now Bring your corrupted USB flash disk and Download Chip Genius from this link "Chip Genius Software 2014 " ,connect your corrupted usb stick to your computer . Repair Corrupted USB Pen drive by Updating Flash Firmware "Software solution only "
Now we start to repair flash drive .There are many ways to repair corrupted USB flash memory , i explain one of them before in this article "How to repair usb flash drive in three steps " ,this way i called it "VID-PID repairing method ".In this way after we get the Chip genius report for our flash disk ,we take the VID and The PID number and Go tho this site "Here " really i like this site , because it was my inspiring guide before , i learned a lot of things about repairing flash drives from it . Write VID and PID that you got before from Chip Genius report , then click Search . You will got a schedule of flash drive software with this parameters , we will need to focus in four parameters only from them "Chip Vendor ,Chip Model ,Size (GB) ,UTILS "Flash Firmware " . After we look to this Parameters and we found our flash drive information identical with chip genius report , Look to UTILs you will find the name of your correct flash drive repair software .Copy the Name of Flash drive repair utility then go to Our lovely Google Search engine and write the name of repair software and search about it .You will find a link to download the software from Flash Drive repair website or Flashboot.ru or any flash drive repair websites "The goal is to repair your usb flash disk , doesn't matter who is the website " . 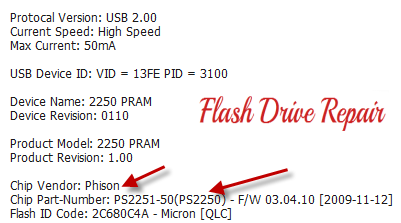 This is an example of phison chip vendor firmware software , to download it click on Phison_MPALL_V3.63_PS2251-67.rar then download it directly to your computer . To repair USB flash disk , open the software then if the software is correct , you will find your flash in the software .Click in start to begin updating flash firmware . This is a direct USB flash Drive repair Method .In this method we will search about the repair software directly on the net . From Chip Genius report ,Copy the chip vendor ,part number and paste them in Google search then enter . You will find many download links of your flash drive repair software ,choose the one identical to your words and download it . Open the downloaded repair software , insert your usb flash disk to your computer .If this is the right software , you will see your flash drive information in the software interface .Click start or format to begin formatting your corrupted usb flash disk . There are many USB flash drive repair freeware software that maybe working and repairing your USB stick .Many Flash drive brand company develop a special software for it's flash memory.Also there is many general formatting and recovery software that can help you in fixing your flash disk . 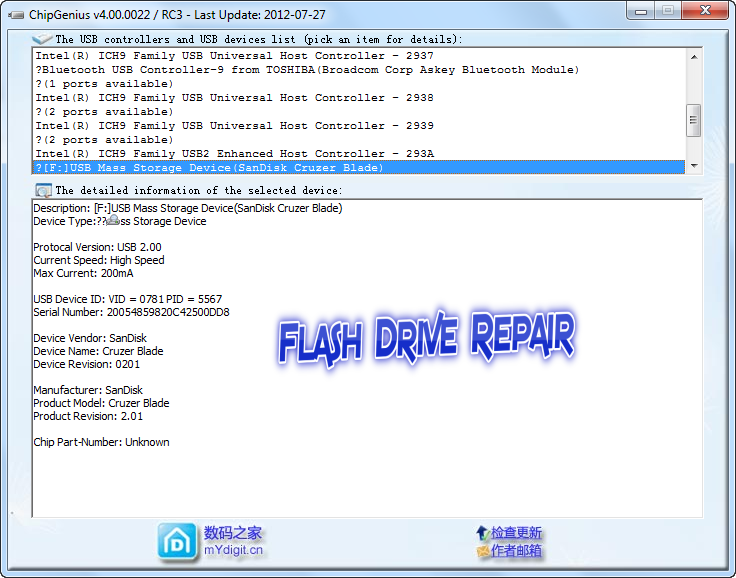 I will put the flash drive repair software for many famous USB flash disk ,I'm already explain them in special articles . Here i will put all possible flash drive format software that may be help you to format and fix your corrupted usb flash drive .Try the previous methods first , if not work with you , please use the following flash drive repair tools . PeToUSB is a free software utility for formatting and making usb flash disk bootable .Read this article . If you get error message "the disk is write protected" ,read how to remove write protection from USB flash drive or memory card . Now We finish the Full Guide of best usb flash drive repair software .Please if you like this article ,share it with your friends to help them to repair their usb sticks . Don't forget to subscribe to our Facebook Page "Flash Drive Repair " To receive the latest posts and latest flash firmware software .I will be happy if you leave a comment with your opinion about this article "bad or good ". There is no utils available. :( HELP!!! Dear Ashraf, thank you you're site is very useful and interesting. can we still recover the old data from the USB stick after a factory reset (MP tools reformat)? Thank you Sir Asraaf for your response! i will try to use Recuva software if it can get the files from the usb stick. I'm trying to recover some 2GB of documents from an 8-GB TDK "Life on Record" USB stick with SM3257 controller chip and a Sandisk flash memory chip. It was not detectable when it came to me, but I managed to make it work using SMI MP tools. I tried some recovery softwares but, no single file was found. So I'm wondering if it is still technically possible to retrieve the files even after the MP tools (reset) having known that the reset have formatted the flash memory. Dear Ashraaf Muhammed, could you help me...I bought a pendrive of 32GB, Kingston. DataTraveler and after 1 week, I found myself looking everywhere for a solution. I hope you can help me to solve this problem!! My friend...I know we are close to solve it. I need your advice!! Thanks in advance!! Hi I try to repair my flash disk but still no luck. Edit: Solved with FC MpTool_D3eD3_v05.02.05 , but cannot format to NTFS only FAT32. Can you help me what is wrong ? still failed with NTFS. and I remember that when I flashing the firmware it says failed to write file system. any information ? I will try to force it tomorrow if i didn't see an other way . But still, thanks you a lot, in a way I had a new usb, i will not do the same mistake. Just a strange things that my usb is now called Transcend and not sony but it's not a really big deal ^^. That's not your bad ^^; it was mine, if i had been a bit more carefull with my data (i mean by that keep a copy on my computer), and if i had not panic on my usb when the first problem comes, I would still have my data. That make me a lot sad, because i looe many important thing, but i had passed too much time on it already and being helped to finally finish it relieves me of some ways, at least now I know that I can't do anything more. And I didn't lose eveyrthing i know someone who had some copy of a part of my stuff, and it's better than anything. But anyway, thank you very much for helping me, and sorry for taking your time. Kindly help me. Hope these numbers will help you help me. Thanks. Keep up the good work you are doing. I have tried this before and has not worked! Is there another tool that we can use to fix this drive? Thanks for the help will keep you posted if i find any help. There are many people with the same types of drive that are looking for help. God Bless. The problem is I can't format it and on disk manager it says "No Media"
Kindly help me with the following usb drive. thank you for your answer. I tried another version of chipgenius and it returned that the chip vendor is alcor micro, however when using the AlcorMP tool as you suggested, the tool is not recognizing the flash drive and it cannot start the process. Do you have any idea how to get this thing working? Chip Genius Software didn't find VID, PID, Chip Vendor Chip and Part-Number. my problem is: when i insert my usb in usb-port, only a cd-driver opens. there is no usb-driver which i can open. when I insert the flash it responds insert disk... what can I do? I need your help. my flash drive down size to 4mb(actually 8gb). because of my mistake. i used Phison Format & Restore v3.9.0.0 firmware update tool.rar. Please,kindly give your solution as soon as possible. Please help, I have a 64gm Kingston 3.0 USB- DTM30. the usb is showing 0kb. The USB is coming up greyed out in my computer. i can click and go in but it is empty, i cannot save new data to it. I cannot format it either. tried various methods. Nothing noted in the UTILS section on the website "flashboot.ru". Can you help me to find the right tool please? Hi, I've got a transcend JF V30/32GB (fake as I realized) and it can not be formatted, shows 0bytes available and 8m capacity. How do I fix this then? Hope you can help me solve this problem.Thank you in advance. Really hope that you can help me solve this problem.Thank you in advance. PLYSSSSSSSSSSSSSS tell me the tool. I have a USB(TOSHIBA/TOSHIBA MSFT NORB/MSFT NORB), when insert the pen drive, windows show 2 disk, (7.96 mb and 7.2 gb) they are not a partition. How can I restore o change, and get only 1 disk? And the Usb dont change. What can I do, for obtain only 1 disk? what is the suitable MPtool for VID=048D & PID=1176? I have Transcend 32 GB Pendrive. When I insert it, it shows "Please insert a disk into drive I:"
Note: I have tried "Jet flash Data Recovery", "Innostor IS916 MP Tool v2.10.02.49 firmware , in this when i click on scan it shows "Execute Fail" and when i click on start it shows "Flash error". Please can you tell me the right software or my usb is corrupted and it cannot be repaired in future. Sorry, above information in the bigger chip wrong. I need your help! I have found your contact surfing the Internet. I have a 16 Gb Toshiba USB that has failed. Thanks to the ChipGenius2014 I have obtained the following information (see below). I have found the VID and PID in iFlash-FlashBoot but I'm unable to find the correct flash drive repair software in the "utils", due to the grest amount of links and their language. I would appreciate knowing correct flash drive repair software. Device Vendor: TOSHIBA =flash vendor?? Please provide me the firmware of this pendrive. As its Being write protected. Can you help with this, tried 2 dm8233 software, no good, and now pen drive is seen as a CDROM! hello sir plz help me repair my usb. I got a problem. My pendrive is detected by computer but when I try open it, it tells to insert the disk. I tried to format using hp usb disk format tool but it shows there is no media in the specified device. Is there any way to repair my pendrive???? 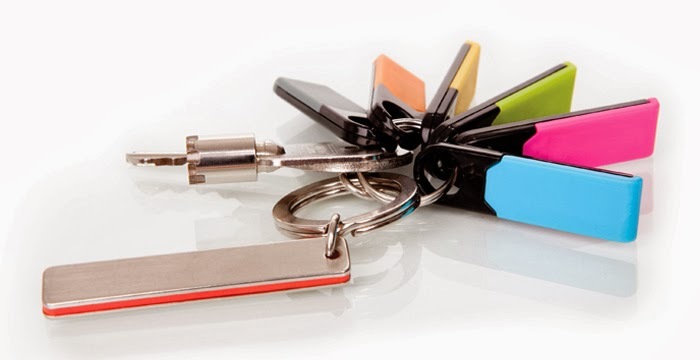 At the first lines of this post you have talked about something "hardware solution for flash drives not recognized by windows". But I couldnt find anything about that in all over through this post or anywhere in this site. May you please inform me,of what hardware solution you have talked about!? I tried the sss usb but it keep saying error 255, any solution? Hy, i tried every tool on the website to format my flash drive but non of them work. What to do next or what tool to use to format? Please help me to resolve below issue. Please help with software link for this device. After this procedure, can I recover my old files? Another solution to recover my data? My pendrive shows as "SM3267AB MEMORY BAR". I have imation 32gb drive with phison 2251-07. I tried to flash the firmware using mpall. It detected amd without going to settings and without selecting the .bin and flash file. I directly formated my drive. And it started formatting and ended with red error. And i closed the program. And i removed my drive and reinserted. Now the drive is not detecting in windows and also in mpall and in chip genius. But when connecting LEd light is on. Pls help me how can i restore it. I can not open the usb flash case because it is a complete metal case. It was supposed to be a Kingston DataTraveler SE9 16GB. I would appreciate any advice or recommendation. I need to 'repair" the writing speed on a Kingston flashdrive. Are there such "tools/programs"? , i need hellp , it is : adata 32 gb , the Controller Part-Number is Unknown !! , so , it is a hardware problem or a software ? please help I can't find the utils to use. I bought a new flash drive to put my nintendo Wii games in it, it's a USB 2.0 32GB Lexar Jumpdrive S70, I copied my games to it and removed it from the computer without using Windows Eject option, when I plugged it to the Wii some games worked fine and others were corrupted, When I plugged my flash drive to the computer I found that the file system is gone and I can't format no matter what software I use. Chip genius doesn`t show chip vendor and wrote chip part number as unknown . So,what should I do ?